Thanks for signing up to receive our FREE Anchoring Tips. This is the first of four in this series. You will also receive the other tips by email over the next few days. But if you have any questions…Ask Captain Chris! 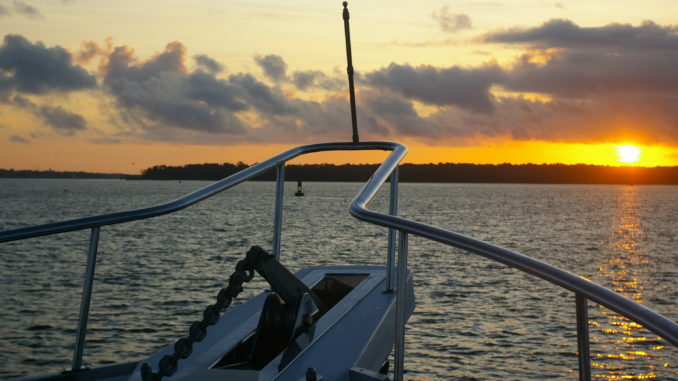 Waking up at anchor can be quite serene…IF you secured the hook properly before your head hits the pillow. 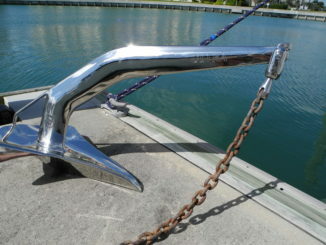 So let’s get started on some great Anchoring Tips! 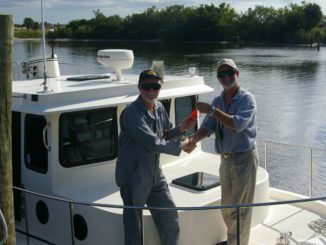 As you join us in this video below we are aboard a Mainship 400 in the north fork of the St. Lucie River in Stuart Florida. We selected this anchorage based on tide, wind direction, speed and fetch as well as consideration for local boat traffic. Landmarks like the illuminated daybeacon 6A give us reassurance that we have not dragged each time we look. Even in fog or rain we can see the light flashing. Our GPS shows the path we cruised into the anchorage. We did a figure eight to confirm the water depth was uniform. This gives us confidence that we will not bump our keel or propeller on the sea floor. We can also confirm our location looking at our RADAR. 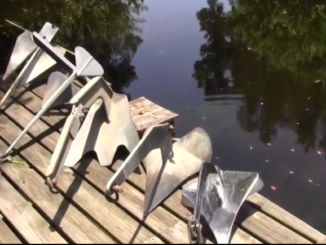 Stay tuned for our next email which explains about different Anchor Designs and Their Purpose and how to select the appropriate anchor type for the bottom conditions. After receiving all four Anchoring Tips if you’d like more details, consider our 90 minute Anchoring Video….or Ask Captain Chris!